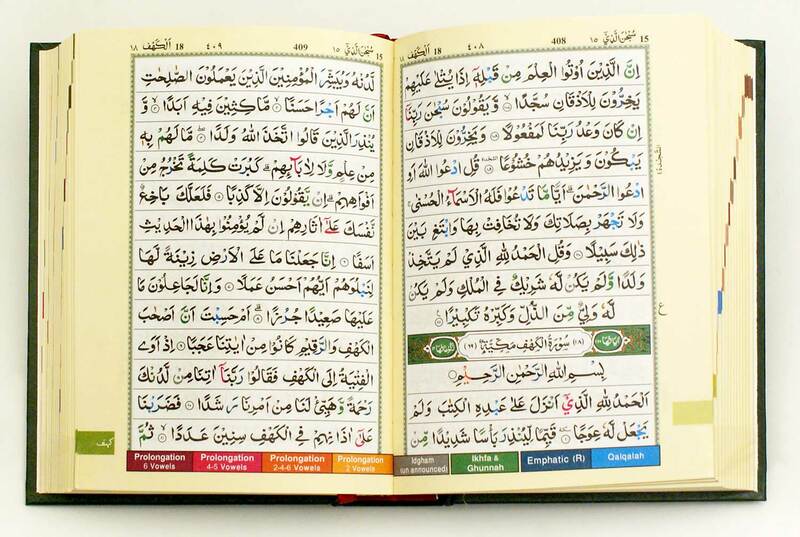 Color Coded, High Quality Quran. Size: 4.7"x6.7"
This Tajweed Quran is in the Oriental Indian Calligraphy. The size of this Tajweed Quran makes it easy to handle or to keep in a small pocket. 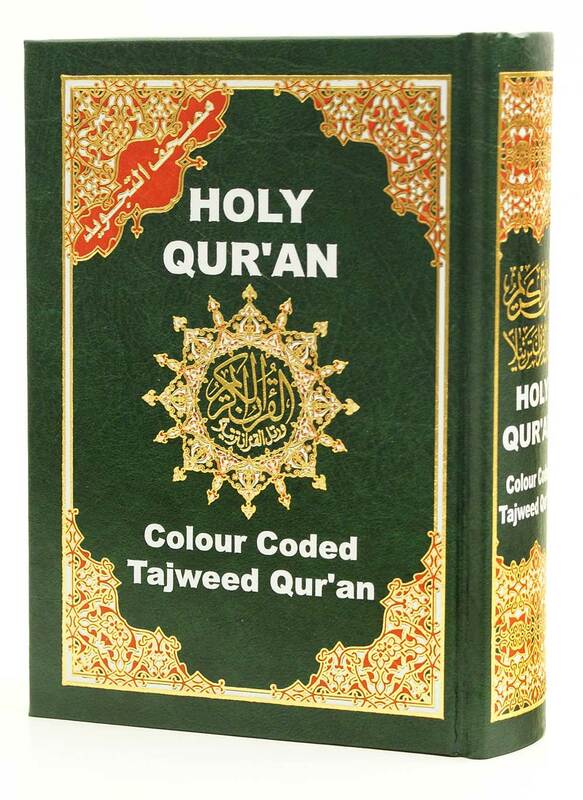 Salam, I want to buy two(2) copies of the colour coded Tajweed Quran. Am currently in Malaysia. Do you have outlet in Malaysia where I can easily get it. Thanks and Jazakallah khairan.